boots, helmet and gear, even large enough for a second pair of boots. 1680 ballistic nylon and polyester ripstop. Side hinged front door opening for easy access to boots and gear. 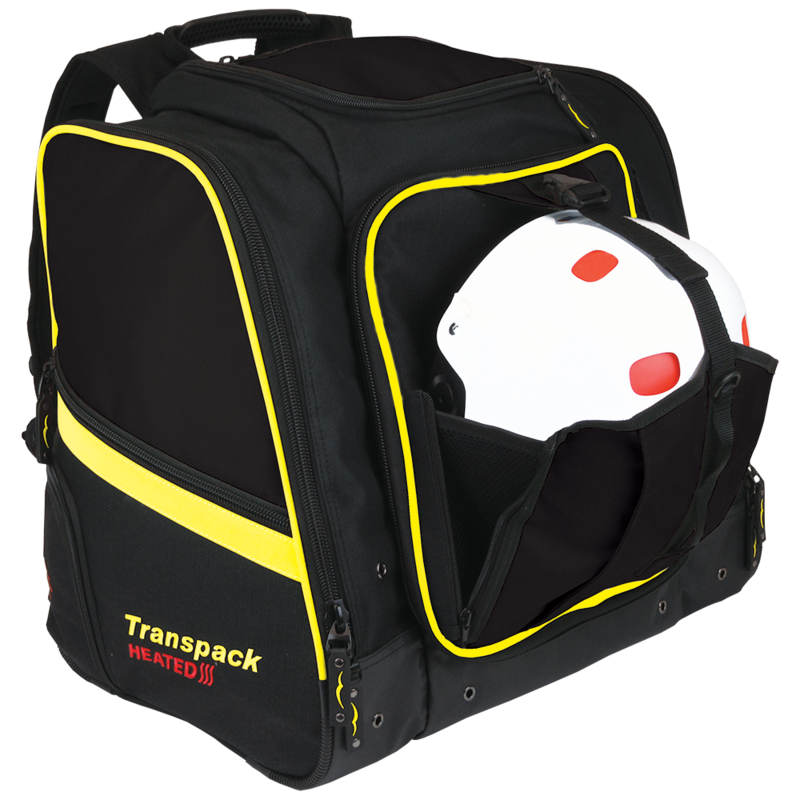 External helmet pocket on door opening accommodates a full-sized helmet or can be zipped up flat allowing the bag to stay compact. Extra large side pockets can carry lots of gear or even another pair of boots. Top zippered compartments for accessories. 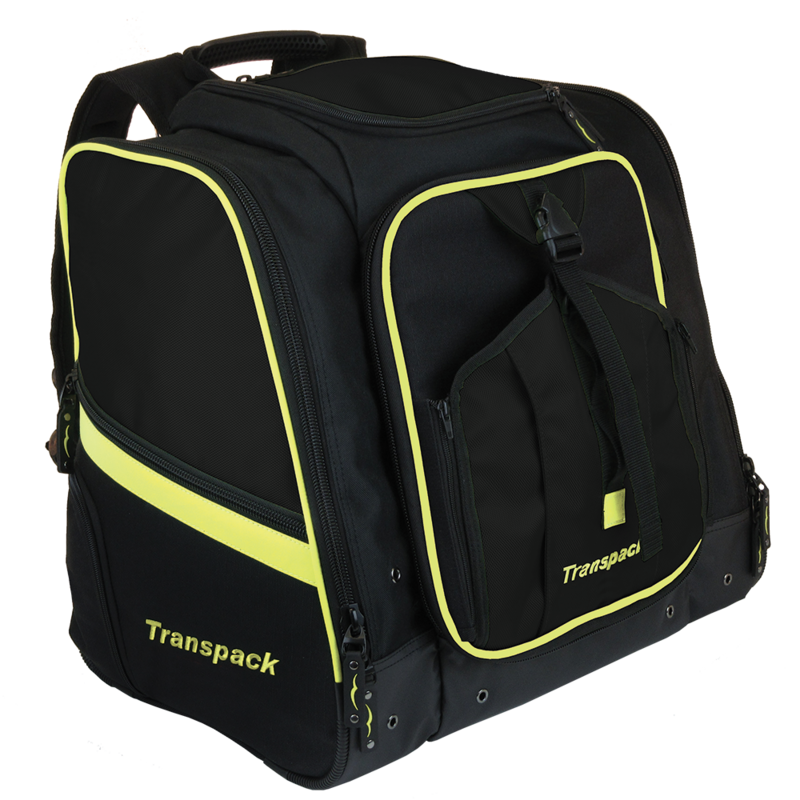 Many internal and external pockets for tools, accessories, personal items and gear. Stow-away compartment for shoulder straps. Comfort grip rubber top handle.